We are so excited to announce the arrival of our son Michael John. Lovingly placed with our family 26-Jun-2018. Sometimes life has a way of surprising us in the best way possible! We received “the call” while attending a family wedding in Edmonton. Our 5 day vacation turned into 12 days as we detoured to Calgary to meet Michael. He came home on 3-July-2018. A huge thank you to the NICU teams in Edmonton, Calgary and Medicine Hat for taking such good care of our little man. Our eternal gratitude goes to Michael’s incredible birth parents for entrusting us with this precious gift. Thank you to everyone in both the Calgary and Edmonton AO offices. It was truly a team effort to bring Michael home. Without your amazing team, we would not have met our two miracles. We’d like to share the news that Benjamin was lovingly placed in our arms when he was born at the end of May. There are no words to describe the love we feel as a family for Benjamin’s birthparents, and their love for him is the greatest love we know. We are so thankful to Adoption Options for helping us navigate this journey, and provide us with such amazing support, you are a team of angels. We couldn’t love Benjamin more, so he really is surrounded by love, what more could we wish for. Trisha and I are proud to introduce you all to Dawson Bane. We were matched with Dawson's birthmom on April 20, it was an instant placement. 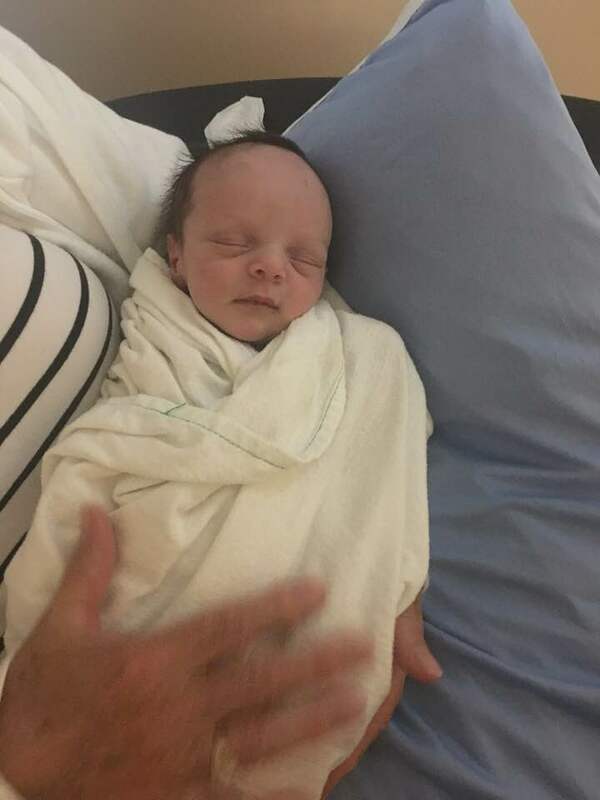 He was born a bit premature and we have spent the last 18 days in the NICU at south health campus in Calgary. He is doing great and is getting comfortable in his new home. We could not be happier and Keegan is so excited to be a big brother. I want to thank the staff in the NICU for the phenomenal care they took of Dawson, the incredible support and encouragement of the staff at Adoption Options, and most of all, the love and courage of Dawson's birthmom. Trisha, Keegan and I are very blessed and grateful. 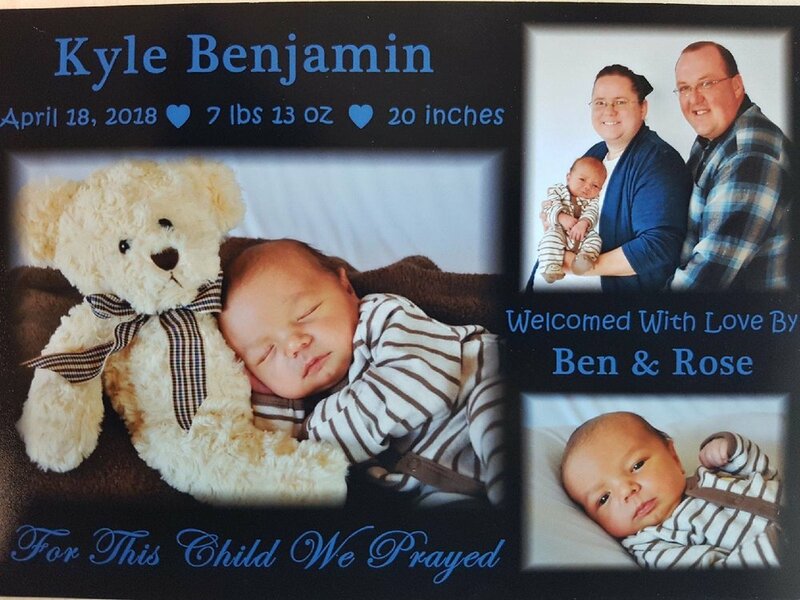 We, Ben & Rose, are SUPER excited to announce the birth of our son, Kyle Benjamin! Our long awaited phone call came April 18, 2018, telling us a healthy baby boy weighing 7 lbs., 13 oz had been born for us. Kyle's birthparents will forever hold a special place in our hearts. We would like to send a HUGE thank-you to all the staff at AO for the amazing work you do!! extremely hard, and sometimes frustrating but it's SO worth it once a child is placed into your longing arms. Phil and Ella welcome the newest addition to their family, Benjamin Patrick. He was born in Edmonton, Alberta on April 10, at 8 lbs 3 oz, and joined their family the following day. Six year old Janine is thrilled to be his big sister. 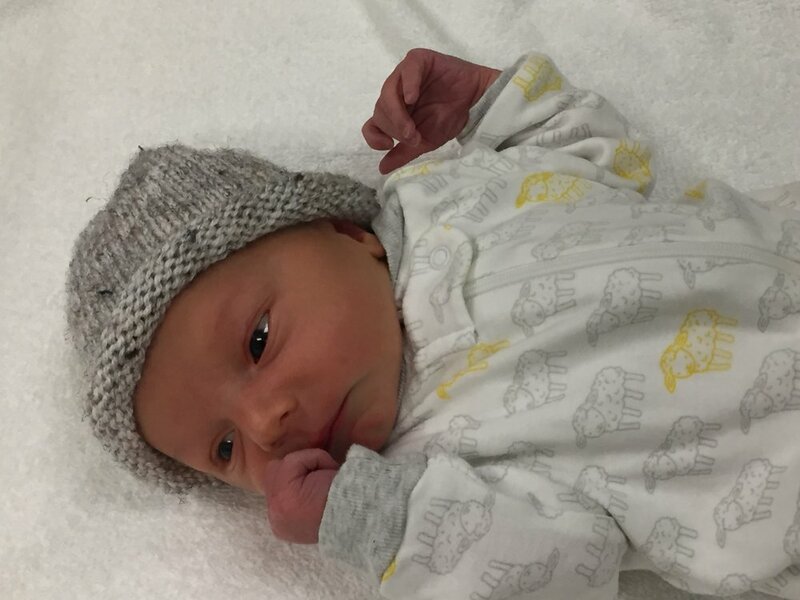 Special acknowledgment to Benjamin’s loving birth family who cherished their time with Benjamin and his new family. On March 9, 2018 we received the long awaited “call” informing us that we had been matched with an expectant parent and our lives were about to change forever. 12 hours later, we were thrilled to hear our baby girl had been born. On March 10, 2018 we were endlessly thankful to welcome Clara Grace Janine into our family. She was born one week late, weighing 9 lbs, 11 oz and we brought her home two days later. We would like to thank Clara’s birthmother for her selfless decision and amazing gift. We Have Never Been Happier! After six long years of trying to start a family we are thrilled to introduce Alexandre Peters. Thanks to an amazing birthmom who chose us we were able to adopt this little guy. We were in Bolivia when we found out a birthmother chose us which is funny because it was our first vacation in six years and they always say if you want to conceive take a vacation, well apparently it works for adoption too! Alexandre is so precious and we have never been happier! We are grateful God has finally answered our prayers and to everyone who has supported us through this journey. Thanks also to Adoption Options, specifically Chantelle and Melinda. It is so humbling that one woman was able to make our dream of being parents a reality. So far it is everything we imagined and more! We are over the moon & beyond excited to share our news with the world. Friday March 9 will be the day that forever has changed our lives. Friday was the day we received our call, the call letting us know that we had been chosen and there was a beautiful baby girl for us to call our own . Alaya was very eager to see the world and was born at 28 weeks on December 31, 2017. Weighing just 2 pounds and 4 ounces. She is a strong sweet girl and was released from the NICU on Sunday March 11 in great health. We want to acknowledge her birthmother and birth family with our complete gratitude and love. The past 10 days spent with our princess have been incredibly rewarding. We have already seen her grow and blossom. Our hearts are so full and we couldn’t be more blessed. Alaya Dawn we’re happy to say is officially the newest addition to our little family. We can’t wait to see all that this journey of parenthood will bring to us. We have a very special announcement! It’s with very full hearts that we announce the arrival of our son, Avery Xavier. Avery was born on December 18 at 2:46 am weighing 5 lbs and 1 oz. This amazing little boy is bright eyed and inquisitive with a beautiful, gentle soul. Avery has already brought so much love and joy into our lives. We are so grateful for this amazing blessing. We love you Avery, today, tomorrow and always. The magic of Christmas is very much alive and well. A very special thanks to Adoption Options for making this all possible especially to Sheryl and Chantelle for your support through this process. We couldn’t have done it without you! On December 1, 2017, we were overjoyed to lovingly welcome home two new additions to our family, and we are the proud parents of twins! Steven Alexander and Hannah Hailey Lynn were born on July 13, 2017. The twins were born 5 weeks early with Steven weighing 5.5 lbs and Hannah only 2.2 lbs. On November 3, we received the ‘the call’ saying we had been matched! Throughout November we had our match meeting, met the twins and transitioned them into our care. We are so grateful to the birth family for selecting us to parent these precious babies and to the Adoption Options team for all their support. The Walker family would like to introduce their daughter Opal! They returned from India to Canada just after Thanksgiving weekend. Congratulations to your entire family, welcome home and into your forever family Opal! "Our journey to Opal-Karishma wasn't the easiest and at times was filled with hardships and heartache but the moment in India we held that screaming baby in our arms all those crummy memories of difficult moments melted away. We have many to thank getting us to this point but much love goes out to Liz for all the counselling and care during the crazy times. One thing always stuck, she asked "Would you spend your life regretting it if you said no?" And I knew in that moment I would. Now with all those fears and doubts totally gone, we can see we were definitely meant to be together and we are so excited to start our lives as a family of five! Meet baby Gratian! He was lovingly placed in his parents, Mario and Monica's arms on Thanksgiving weekend. He was given the name Gratian as it means grateful! Mario and Monica are beyond grateful to their son's birth family for placing the most precious gift they could ever receive in their arms. Where having a girl child is a taboo in some countries, Harnoor came as a blessing to us. A third daughter to her biological parents where she never received a smile back from her parents and grandparents, she brought smile to us and to our elders. After 23 years of yearning for a child, Harnoor came in our lives in May 2017. With a heart of gold, smile like a silver linings and arms of acceptance she completed us as a parent. Growing with her is immense fun and joy. The road to achieve our dream only became possible when in the month of January 2016 we called Adoption Options and spoke to Liz Gifford. When we told her that we are seeking international adoption and that through India, she was excited to help us and at the same time informed us the complications involved as time and jurisdiction plays role of long waits. I still remember she said nothing will happen unless you decide to proceed with an international adoption and those words really made me to believe that “Yes, we Will”. In December 2016 when we went to India to meet our daughter we were overwhelmed and wanted to bring her back with us. We faced lots of hurdles but in the end with continuously working with Adoption Options and esteemed Alberta government we finally are living our dream. We are so overjoyed with the arrival of our little girl. We adopted Baby Sophia from a beautiful, amazing, selfless, strong woman in Florida. We will be forever grateful that she chose us as the family to adopt her precious daughter. The adoption process itself was a wonderful experience. It can be stressful and scary at times, but it was certainly made easier with the guidance of all the people who helped us at both Adoption Options in Calgary and Florida agency, Adoption By Shepherds Care. Their support has been, and continues to be wonderful. AJ and Kimberly are elated and humbled to share the arrival of our deeply yearned for son, Rio Owen on August 15, 2017. We were thrilled to welcome him home on Kimberly's birthday, August 18, 2017. There truly is no greater gift!!! The depth of our gratitude to Rio's incredibly generous and selfless birthmother is endless. The miracle she has bestowed to us has allowed our dream of parenthood to finally be a reality. We were privileged to be included in Rio's delivery experience; AJ even cut the umbilical cord! We are so grateful that Rio's wonderful birthmother is now a cherished member of our family and we look forward to growing our relationship with her in the season ahead. Brandy, Mike, and big sister Maelin are thrilled to announce the arrival of our beautiful little girl Isley May Renate. Isley (pronounced eye-lee) was born on January 5, 2017 weighing 7 lbs 12 oz and placed in our loving arms on January 22, 2017. We are so thankful to her loving birthparents Kaylin and Darcy for choosing us to parent this amazing little girl. We are overjoyed that Isley is finaly here, and our family is now complete. We thank everyone at Adoption Options for their support throughout our adoption journey – Isley was worth the wait!